The MARINA enforces strict rules for personal appearance. MARINA on the specified date and time for image capturing. 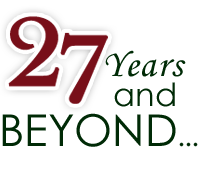 Set an Appointment with MARINA at www.marinaappointment.com, Fill-out & Print online Application. Select the type of document (Licensure) then select position (for the DECK Department - Master, Chief Mate, OIC-NW, for the ENGINE Department- Chief Engineer, 2nd Engineer, and OIC-EW) to be applied. 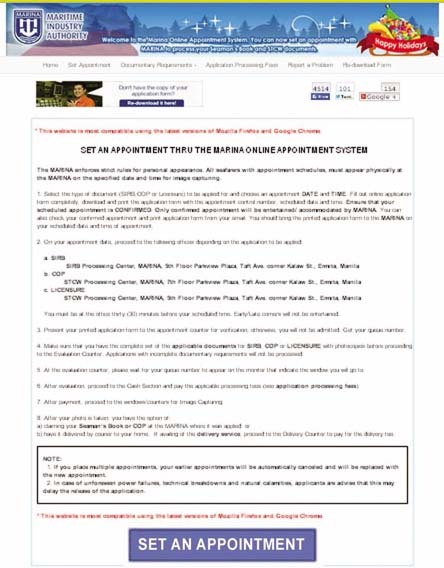 Click NEW for the 1st taker and RESIT for those Applicants who already took any Competence at MARINA. Choose an appointment DATE & TIME. 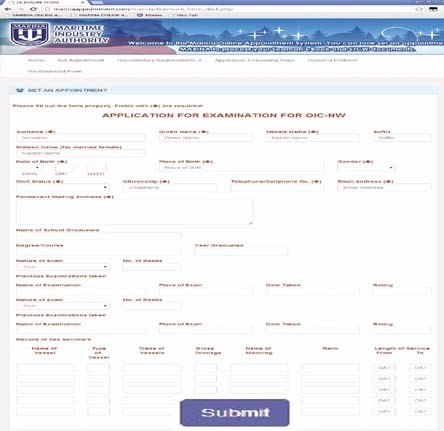 Fill out online application form completely. Make sure that your scheduled appointment is CONFIRMED. Only confirmed appointment will be entertained / accommodated by MARINA. You can check your Confirmed Appointment & Print the Application Form from your E-mail. Bring the printed Application Form to the MARINA on your Scheduled Date & Time of Appointment. You must be at the office thirty (30) minutes before your scheduled time. Early/Late comers will not be entertained. Present your printed Application Form to the Appointment Counter for verification, otherwise, you will not be admitted. 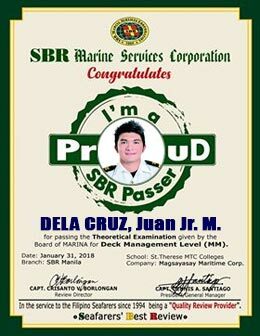 Proceed to the Evaluation Counter. Applications with incomplete documentary requirements will not be processed. Wait for your queue number to appear on the monitor that indicates the window you will go to at the evaluation counter. Applicants must secure long brown envelope for the photocopies of document he/she filed. With Name and Contact No. for references. 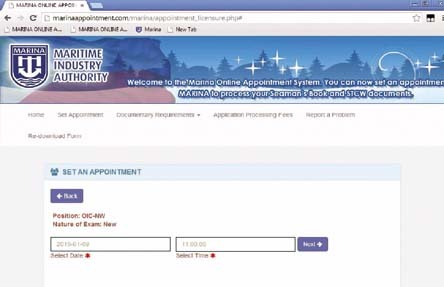 After Approval, Marina Staff will give you details for the documents to scanned and upload at www.scsmarinaph.com. 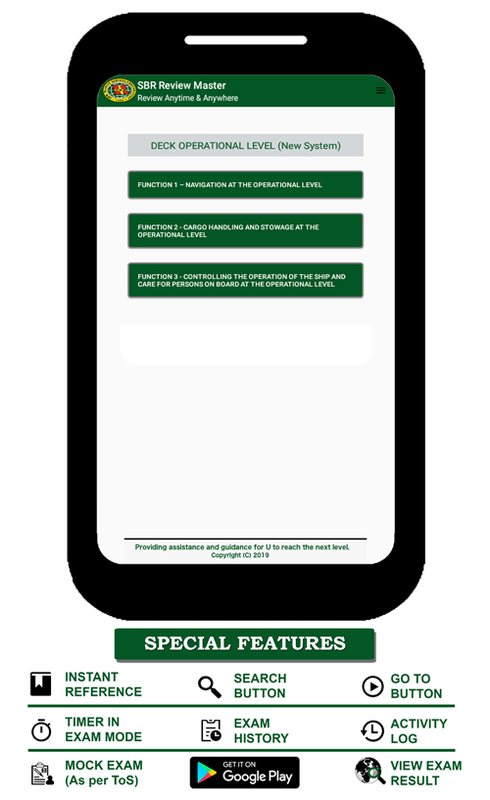 After evaluation, proceed to the Cash Section and pay the applicable processing fees (see application processing fees). After payment, proceed to the windows/counters for Image Capturing. have it delivered by courier to your home. If you place multiple appointments, your earlier appointments will be automatically canceled & replaced by the new appointment. In case of unforeseen power failures, technical breakdowns and natural calamities, applicants must expect a possibility of delay in the release of their application. Steps from 3, 5, 6, and 8 with Red Highlight are not yet observed at Marina during the time they filed. 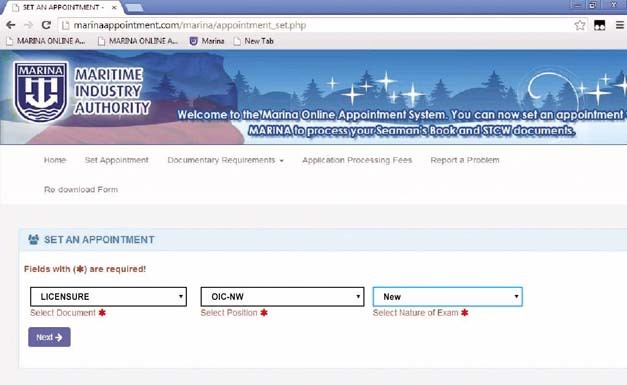 Scheduling of Examination will be informed by MARINA thru CALL/Emailed at the website of www.scsmarinaph.com.